Edit Your Videos Like A Pro! 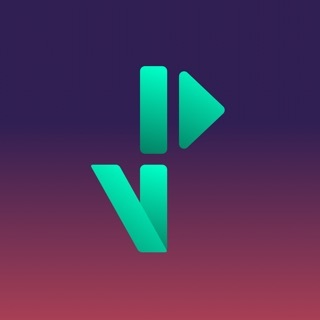 VlogEasy is a free app that lets you make fun videos to share with your friends and family! VlogEasy is the easiest way for you to create YouTube/InstaGram/ Edited Jump Cut Videos for any platform! You will have your amazing video in moments! • Draw & add text, change font, colors and more! I find myself opening this app more and more to make videos, especially if I’m just talking to my followers. The magic trim feature does what it promises without any hiccups. It really is a HUGE timesaver just to be able to tap record, tap it again and have all your blank pauses cut out!! The end product comes off succinct, fast-paced and well-edited. LOVE this app. The magic feature is awesome but this app randomly closes and loses videos way too much. A lot of good things but I’ve paid for this app and afterwards can’t use it. So apparently there was an update to the app. But after I’d already paid for the previous version. I know every new app can have its bugs but in addition to the new version they’ve moved to subscription based payment app. But again it won’t even open. I’m willing to change my rating once everything is fixed but as of right now I’m extremely dissatisfied.